Rosanne Dingli is from Perth, Western Australia. She is an award-winning novelist, author of Death in Malta, According to Luke and Vision or Delusion. Her articles, stories, reviews, columns and poems have appeared Australia-wide and on the internet since 1986. She has worked as teacher, lecturer, workshop coordinator, magazine and corporate editor, travel consultant, cook, manuscript assessor, heraldic artist and business partner. Her travels include visits to Italy, the UK, Turkey, Greece, South East Asia, Holland, and Belgium, as well as most Australian states. Australian novelist Gregory Worthington flees to Malta, where he hopes to find sanctuary from his crumbling marriage, and inspiration for his next novel. Inspiration arrives upon hearing of the village mystery of a missing child. This becomes the subject of his writing, but his investigations are fraught with difficulty. His romance with a local woman can either restore or ruin his career, but who is the unexpected female visitor? The village parish priest shows veiled antagonism towards him, which is countered by a friendship struck with a mysterious doctor. Worthington determines to find the solutions to the mystery and his own dilemmas before he leaves Malta. Poignant and moving, punctuated by comical scenes and passionate interludes, "Death in Malta" is a powerful novel of love and loss, disappointment and dislocation - curiosity and consequences. Rosanne Dingli’s stories are intensely concerned with location and atmosphere. 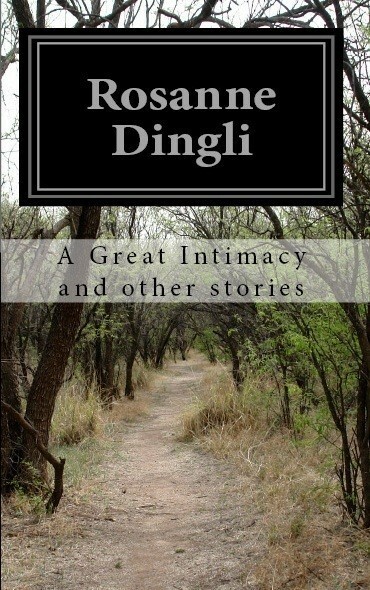 Her stories combine diverse meanings of intimacy experienced by a fascinating assortment of characters, at different times, in different places. Uneasy familiarity between friends thrown together by a difficult love for the same woman, or the bond of siblings, are forms of intimacy that can border on contempt. Lovers’ tenderness can endure because of deep understanding. Betrayal, confusion and joy live side-by-side with disappointment, bewilderment and elation, and always, there is that sense of involvement, of relationship. This is an excursion into how close, or how distant, two individuals can feel. Enjoy this special edition bijou collection of seven previously published and awarded stories. Art conservator Jana Hayes tends to avoid intimacy and buries herself in work. Living in Venice and enjoying it, she has no idea – even when curator Rob Anderson, who happens to be a priest, shakes her tranquil humdrum days – that an old wooden panel and a New Testament evangelist would turn her life around and change everything: even how she regards the relationship with her own mother. 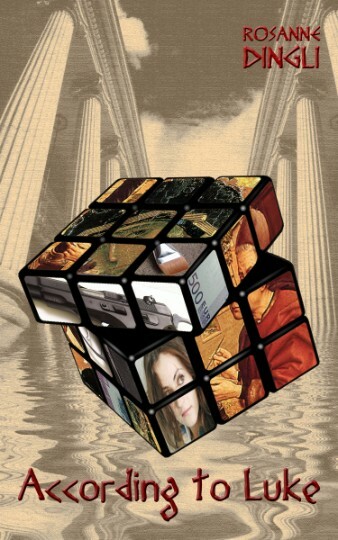 According to Luke is a thrilling romantic novel of secrecy, symbols, faith, and forbidden love. It takes the reader on a quest for an ancient truth so powerful it disturbs the Catholic Church: a truth so explosive it attracts violent separatists and demands a ransom of millions. Follow a chase that charges from Venice to Malta, and then to Ravenna: a chase that escalates to disaster in Damascus, until a solution is found in the Victorian countryside in Australia.